Miss having the companionship of a furry friend, but don't have the life circumstances that allow you to have one of your own? Businesses like FLEXPETS and major hotel chains like Fairmont and the Ritz-Carlton have established a unique time sharing concept that allows you to rent dogs that you can love, but only part-time. So you adore dogs, but your husband has allergies, or you just aren't home enough to offer it adequate care once you bring it into your own. You aren't alone finding yourself in such a situation. But should that stop you from having man's (or woman's) best friend to cuddle with when you are on vacation or your husband is away on business? FLEXPETS and selected hotels certainly don't think so. FLEXPETS is inarguably a controversial business idea, which has to date been banned in many US states. Its business model begins with the adoption of rescue dogs, and puts them through an intensive training program to ensure they are obedient and on their best behavior. They have animals of all shapes, sizes and breeds who have undergone an intensive training program to ensure they are well-behaved and obedient when they come into your home. With this guarantee, you can be certain you won't encounter any behavior problems, and won't have to put in the time, effort and money to train your own. The FLEXPETS service is convenient too, they will shuttle the canine of your choosing from their full-time residence to any location you wish and pick him/her up at the pre-determined time. They come prepared, with their meals and favorite toys in tow. Also, to ensure the safety of their animals, FLEXPETS fits them with state of the art collars that have GPS monitors, so they can be traced in case they become separated from their caregivers; as well as a temperature monitor to ensure they remain in safe and comfortable surroundings. With features like this, the thought and stress is really taken out of pet care. FLEXPETS, in an attempt to win back the support of animal rights advocates, claims to offer above-average care; many of the dogs in their program have been in urgent need of healthcare or behavior reform, and they take it upon themselves to rid the furry creatures from all of their problems before placing them in loving, part-time homes. Some of these animals may have faced euthanasia had they not been taken in by FLEXPETS, who also make an effort to adopt them out to forever homes with loving families. 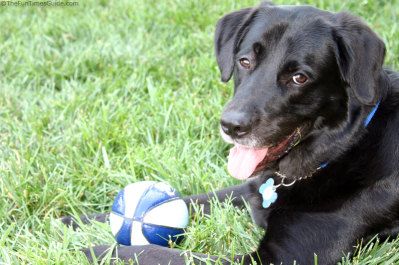 The FLEXPETS service almost sounds too good to be true for those interested in pet leasing. But wait, maybe it is; because while on paper they offer a program that conveniently covers all aspects of pet care, you do pay for what you get. Anyone interested in becoming a member, must first pay their dues of $99.95USD per month to fund FLEXPETS' dog care responsibilities. For actual use of a furry companion, you will be charged $45.00 per day; however, there is a minimum fee of four days per month regardless of service usage. While their shuttle service may be convenient, it's likely to break the bank at $25 each way for every 10 miles (plus $3 for each additional mile). With rates so exorbitant you have to put it in perspective; consider yourself making a charitable donation to support dog rescue and care. The fact that a dog comes with the deal, is just an added bonus. However, that being said, it costs me substantially less each month, on average, to care for my own two dogs and I don't have to share them. FLEX PETS currently only has locations in New York, Los Angeles, and London (UK) but is rapidly expanding throughout the States and Internationally. Interested in investing in a small business? There are clearly profits to be had if you can get it off the ground; you might want to consider contacting them about franchise opportunities in your area. However, before making a commitment, do your research; the business is surrounded by a lot of controversy, with people questioning whether the best interests of the dogs are in mind. And, currently there is also a great deal of debate regarding the veracity of the business model outlined above, that has even resulted in legal action; PETFLEX may not be all it claims. If this is a business idea that you favor; enhance the model as it appears on paper to ensure that pets remain safe, happy and well-cared for. 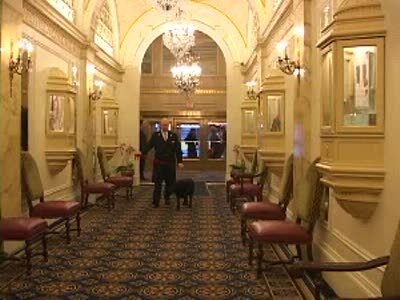 Fairmont Hotels offers dog leasing at three locations to date, and their program's success has shown that pet lovers like to be with a furry friend, even when they're on vacation. 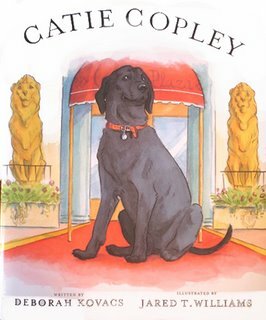 At the Boston location, dog Catie Copley, a friendly black lab, has become a kind of celebrity. She lives in the lap of luxury in the lobby where she lounges in her plush bed. A concierge responsible for her care maintains an appointment book to manage her busy social schedule with the guests of the hotel. They can bring her on day trips around the city, and will be provided a tour book outlining Catie's favorite stomping grounds; or guests can pick more modest encounters like brief walks or runs. However, Catie even has her limitations; she is available for four walks per day, sandwiched between her mandatory two hour siestas. Naturally, Catie also has her own email address, so when you reflect upon your found memories of her during your visit to the Fairmont in Boston, you can let her know she's in your thoughts. 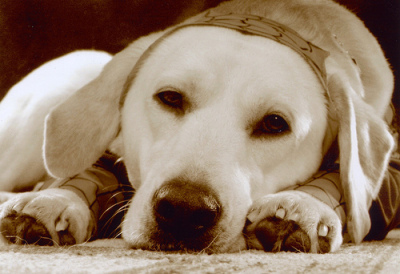 The Ritz-Carlton in Bachelor Gulch , Colorado has a yellow lab, who like the Fairmont's Catie Copley, is in high demand. 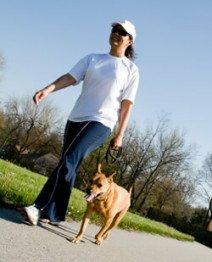 Don't expect to take their pooch out for a stroll at the last minute, reservations to be his designated pooper-scooper must be made at least a month in advance to guarantee an open time slot in his calendar. The pet leasing market is a relatively new one. Will this be a business trend that will continue expand to phenomenal profits, or with the state of the US economy will it be a unique concept that remains out of the average person's grasp? As for me, I'll remain a proud dog order. But, maybe next time boarding is required, I should find someone who will pay me to take them instead of handing over my credit card. Ripley & Riley Hodgson: My dogs, who are happy, healthy and a little spoiled. Note: The above article is strictly informational and outlines business models in the pet leasing market. The author's stance on the pet leasing market's impact on the welfare of dogs has not been expressed in the content - this article strictly addresses aspects of the business plan alone. The author has no association with FLEXPETS, and the purpose is not to endorse the specific products or services, beyond presenting the business model as it appears on paper. Please feel free to provide feedback and opinions on the controversial topic in a constructive and appropriate manner. Blue Whale! The Gigantic Animal Video of the Day!! !